Extending the working life of your storage tanks saves money on new equipment and timely refitting. Tanks will often become damaged with cracks due to the effects of age and minor accidents, if not dealt with and repaired can produce drips and spillages. These leaks can create soil contamination, an environmental risk and a safety hazard and will effect company profitability. Ignoring this problem and allowing the tank to erode and become unworkable, will result in a cost of a new tank, fitting and the cost of removal of your old tank. This can be avoided with repair and refurbishment, saving up to 80% on replacement costs. 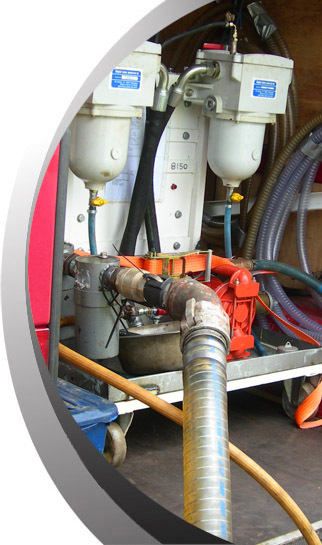 MCS provide a service to deal with contaminated fuel, recovering good useable fuel from the contaminated. Fuel can become contaminated though storage, storing fuels can lead to the formation of tank sludge, the result of being exposed to natural deterioration from water and oxidation. When fuel is contaminated with water, bacteria begin to mount up, mix in air borne particles of dirt etc and your good fuel will begin to turn to useless sludge. If used can cause clogged filters, corrode equipment and create the need for tank cleaning if not replacement with the damage caused. Fuel polishing simply clears away this sludge and restores the good fuel for use, eliminating the need to replace this costly fuel. Contact MCS for a quote.